Commissioned by King James I in the early 1600's and published first in 1611, the authentic King James version Bible has been the world's most universally accepted translation for almost four centuries. Crafted in a poetic literary style using Elizabethan English, the King James Version is one of the most distinctive Bibles available. 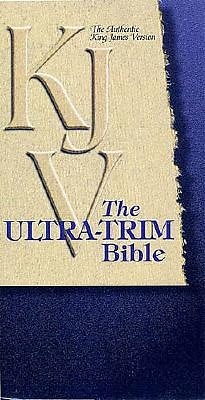 First complete Bible published in the slim, trim format that fits perfectly into pocket or purse.